Since we are talking mid-nineties Bulls players, we are also talking Kim Jong Un. Apparently Dennis Rodman was not the first member of the Chicago juggernaut to meet Kim Jong Un. That honor belongs to...Toni Kukoc? Apparently, so! The piece also includes disconcerting anecdotes like "Marco Imhof, another Swiss basketball buddy, said the Korean was tough and fast, good at both shooting and dribbling. 'He hated to lose. Winning was very important,' recalled Imhof," and "He spent hours doing meticulous pencil drawings of Chicago Bulls superstar Michael Jordan." 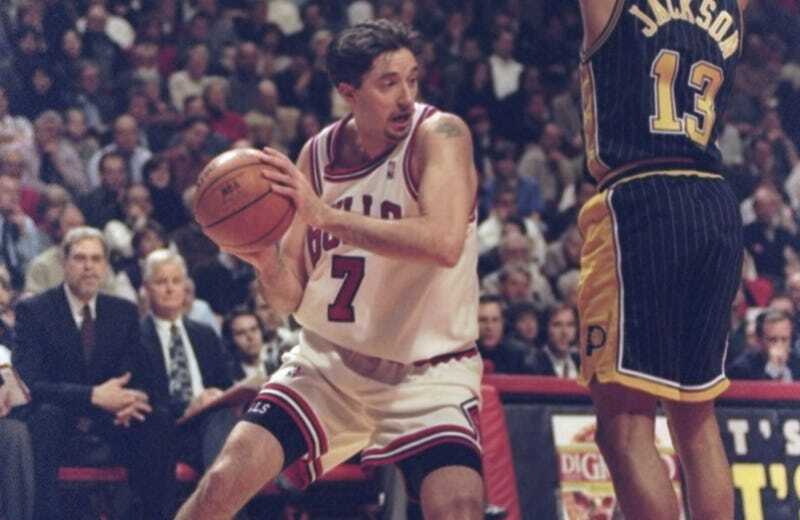 Things get more unsettling; let's get back to Kukoc. New York Magazine was able to track him down and ask what, if anything, he recalled of the meeting with Jong Un. His response, via email, is chilling. "No, not really, maybe it was McDonald's tournament in Paris! I don't recollect anything else!" Asked how it felt to know that he met a child who would become North Korea's dictator, Kukoc told us, "[I] have no opinion about it!" What has Toni gotten himself mixed up in? What is he hiding?